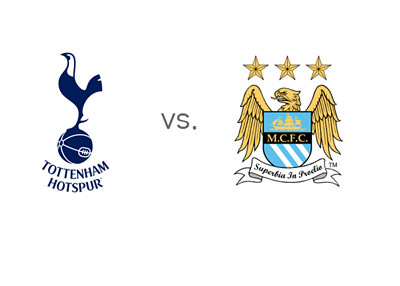 After getting pounded at the Etihad 6-0 earlier in the season, the defeat that eventually led to the sacking of their coach Andre Villas-Boas, Tottenham Hotspur meet Manchester City again on Wednesday, January 29th, 2014 at White Hart Lane in London. The Spurs are playing well these days and are undefeated in their last six Premier League games, with five wins and one draw, including the 1-2 victory vs. Manchester United at Old Trafford. Most recently, Tottenham beat Crystal Palace at home 2-0 and Swansea City 1-3 away. Even though the season has been rough at times, the Spurs are positioned fifth in the EPL tables, even on points with fourth place Liverpool. The London side are in contention to qualify for the UEFA Champions League next season, something that they have not been able to accomplish since 2009/10. Manchester City are on a tear lately, winning games on all fronts. City are second in the Premier League, one point behind Arsenal, they are in the final of the Capital One Cup, alive in the FA Cup and are facing Barcelona in the round of 16 of the UEFA Champions League. Sergio Aguero is on fire and has continued right where he left of before injury. Most recently, he scored a hat-trick vs. Watford (4-2) in the Round 4 of the FA Cup. Manchester City are undefeated in their last 19 games across all competitions and have won their last seven EPL matches. The hosts are the underdogs on Wednesday. A 100 € bet on the Spurs could return 250 € in profit, while the same bet on City could return 100 €. The most likely scoreline is a 1-1 draw, offered at 13/2. The kick-off is at 11:45 local time.